All three options are linguistically possible, and all three fit Paul’s theology. The only other occurrence of the Aramaic maran atha is in an early Christian document called the Didache (“The Teaching”), where it appears in a chapter on the eucharist (Didache 10:6). Some have seen a relationship between maranatha and the Greek of Revelation 22:20, “Amen, come, Lord Jesus!” What can be said? Many contemporary scholars have granted the validity of the two major options (present and future) and have opted for the future. Some have granted that the word atha is a past that reads “has come” and have rejected this option as reflecting ideas that Paul could not have intended. 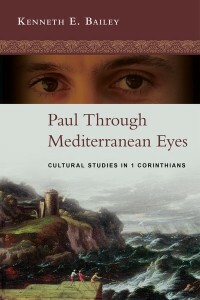 Among the twenty-three Semitic versions examined, there is no break in this tradition until the nineteenth century, when two individual efforts (one in India and the other in Lebanon) read the text as “Our Lord is coming.” Finally, two late-twentieth-century versions allow for “Our Lord-Come” as a marginal note, and the most recent version (1993) places this option in the text. Matthew Black argued that the phrase was popular because of its “ambiguity and hence flexibility: it could be fitted into different contexts, in the Eucharist, as an imprecation, or as a confession (‘The Lord has come’). When all is said and done, for at least sixteen hundred years Middle Eastern churches have read this cry as a confession. Surely that option deserves serious consideration.